SIS PITCHES HAVE COMPLETED INSTALLATION AT WEST RIDING FA, IN ASSOCIATION WITH THE FOOTBALL FOUNDATION. 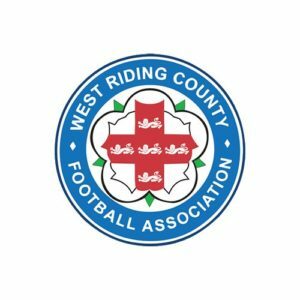 Funded by the Premier League, The FA, and the Government, via Sport England and delivered by the Football Foundation, the country’s largest sports charity, the new pitch at West Riding FA has become a reality. West Riding FA now have the SISTurf Superior 60 synthetic 3G surface installed with inclusion of new goals, despite the bad weather conditions in the time of year it was completed. The team, which was led by Jon Turnbull, only had to delay the work for one week due to heavy rain, but were dedicated to install the drainage in time which allowed the team to keep working and to stay onsite to finish. The new pitch will predominantly be used by the key partners in the project, Rothwell Town FC, Methley United FC, Rothwell FC, The Garforth Junior League and The Leeds United Foundation. SIS Pitches is a part of a framework agreement to provide the design, manufacture, installation and maintenance of artificial grass pitches. The agreement is in support of the Rugby Football Union (RFU), Football Association (FA), Sport England, England Hockey and Football Foundation (FF) capital investment programmes.